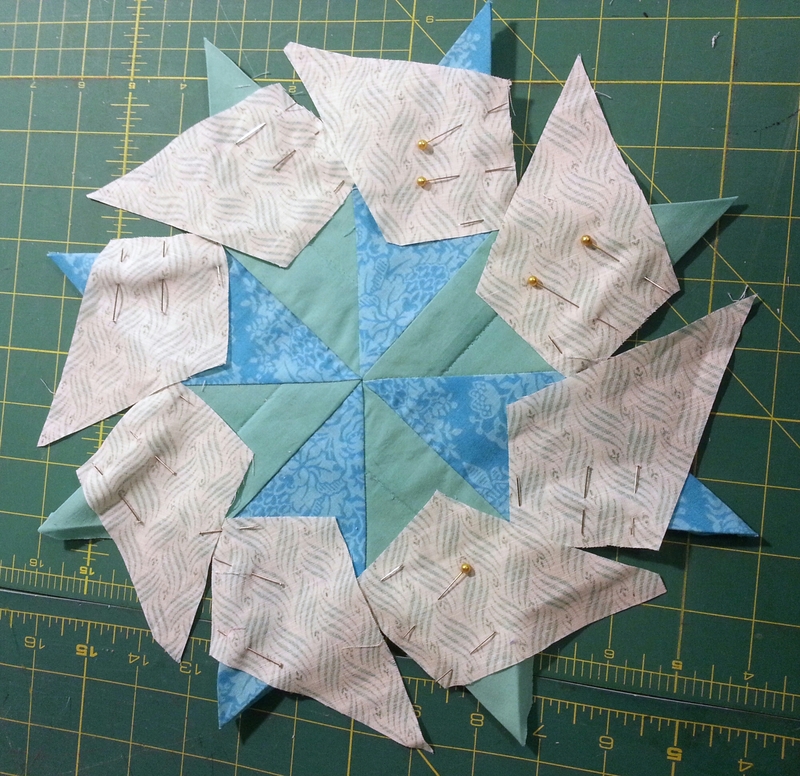 As I shared last week, my current piecing obsession is eight-pointed stars. I’ve gotten better at matching up all the points in the center, so of course I immediately decided to make things challenging again by turning one of my eight-point stars into a sixteen-point star. 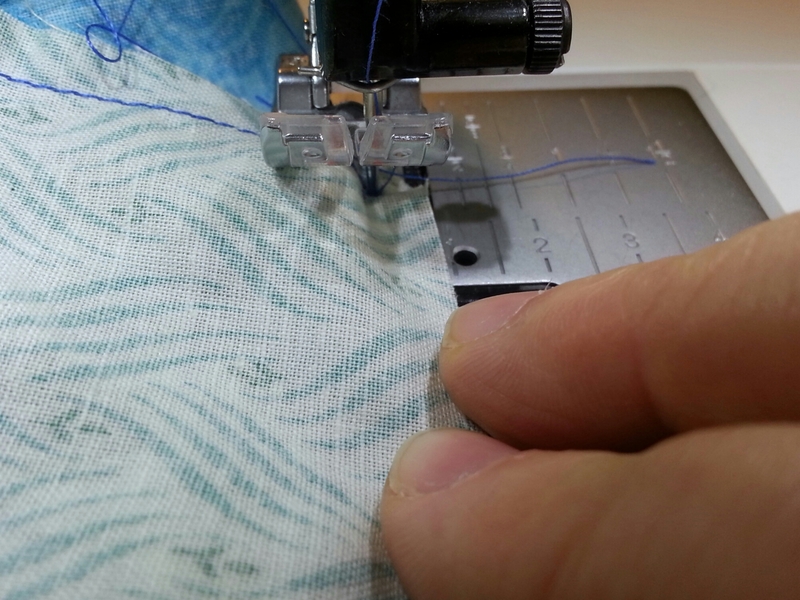 I don’t actually recommend pressing the seam allowance this way before sewing. 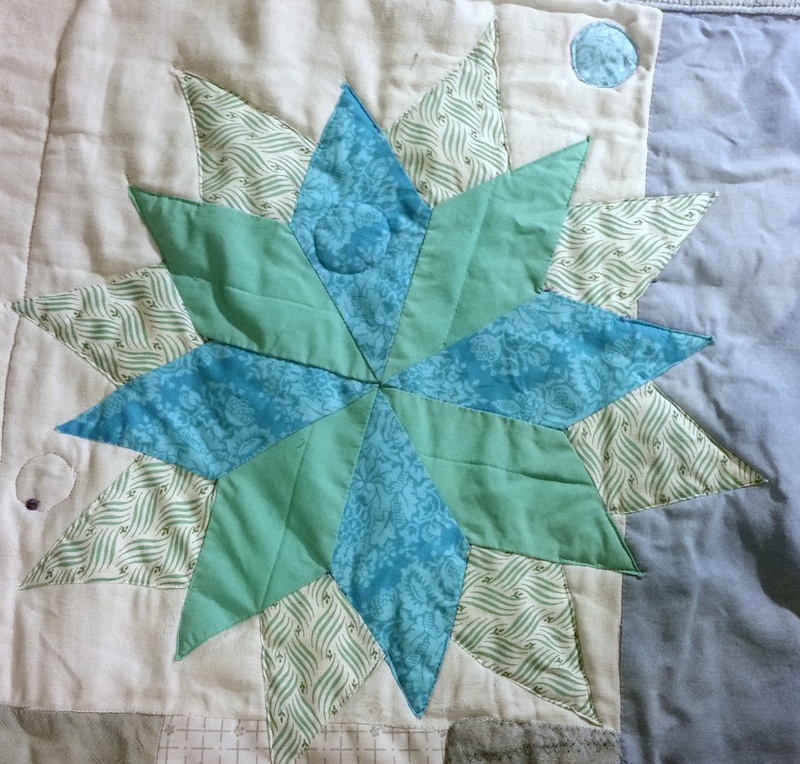 The only reason I did so here was because I originally planned to finish the eight-point star as an eight-point star applique like the one in last week’s post. So I had turned the edges under for a clean look, and I didn’t bother ironing them flat before pinning. My grandmother would be ashamed of me. NOTE: The sewing machine is OFF. 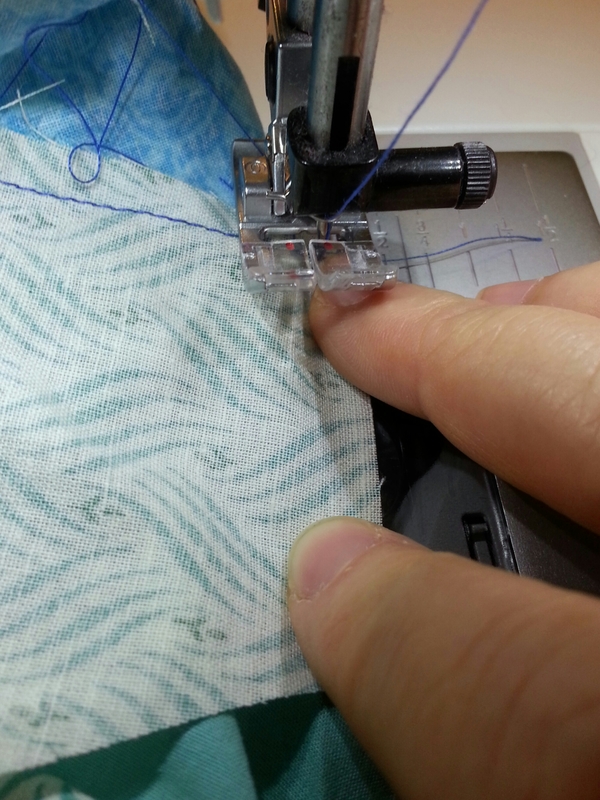 Do not stick your fingers this close to a needle when the sewing machine is running, or you may never be able to sew by hand again. When I was done sewing all the kites in place, I turned the edges under, ironed them down, and appliquéd it to a blanket. I eyeballed the width of the “seam” allowance when I was turning the edges of the appliqué under. My goal was to keep it at about a quarter inch, but I didn’t feel like measuring and marking, so I didn’t. 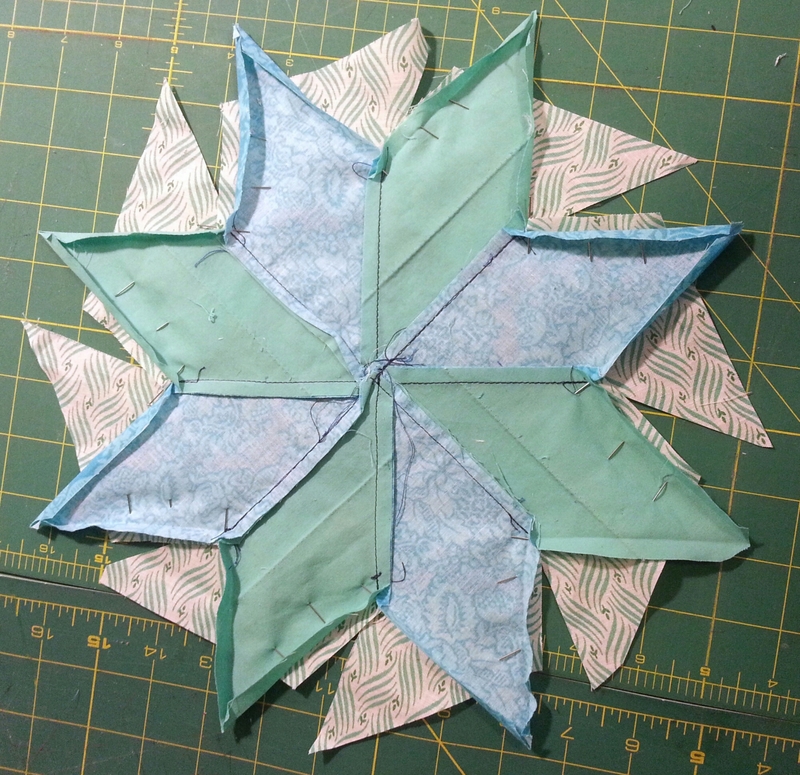 I rather like the variations, but if you don’t want them when you make a 16-point star, do what good quilters tell you to: Measure and mark, then measure again to make sure you did it right.